Super neat！A foldable clamping stand gives you more discretion to pack your travel stuff. Super lightweight！It is made of aluminum alloys for aerospace applications and weighs only 207g. Super compact！It is only half the size of an A4 sheet for easy packing in the hand bag. 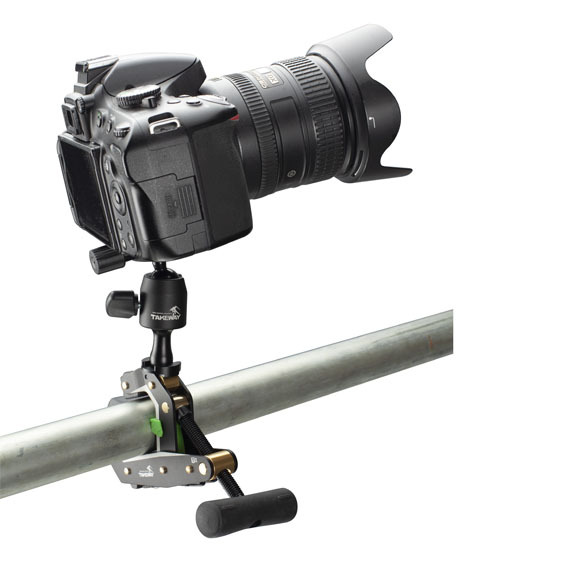 Super easy！It can be clamped onto an objects or stand on a flat surface. 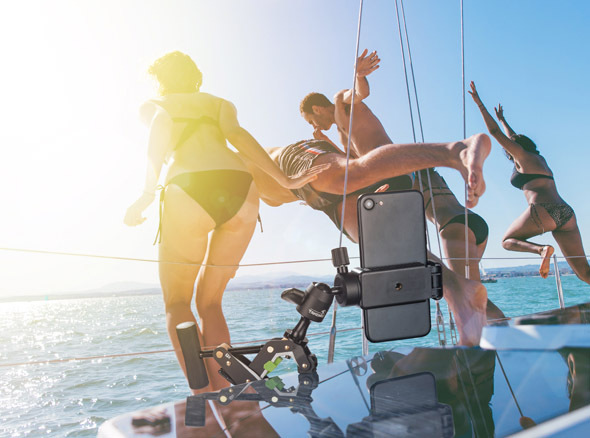 Super powerful！It is applicable for smartphones, tablets and even DSLRs! 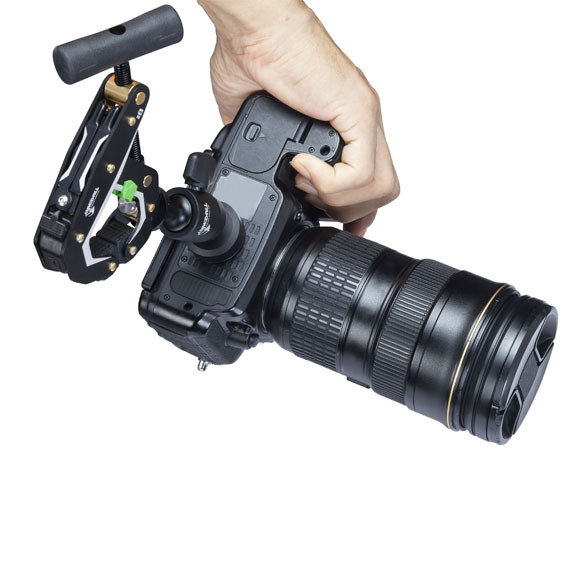 It holds any electronic product that weighs less than 3 kg, such as camcorder, DSLR, smartphone, and tablet computer. 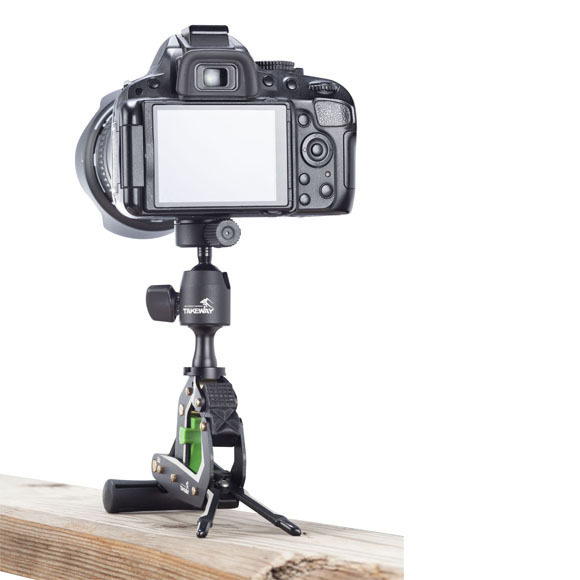 It can also be used as a speedlight or microphone stand. 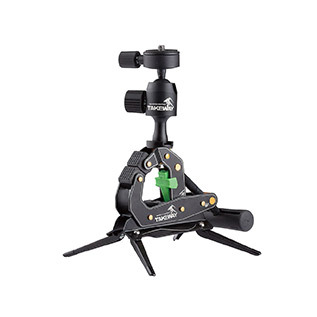 A ballhead with a quick release plate allows you to mount any electronic product quickly. The ballhead rotates in 360 degrees. You can also install other heavy ballheads for a higher weight load capacity. The maximum load capacity of the clamp is 40 kg. The clamp is made of the aerospace-grade aluminium alloy, which makes the clamp much lighter but stronger than the other products. It is only half the size of an iPad. The cubic jaw with three kinds of tread make the clamp steadier and easier to be fixed. 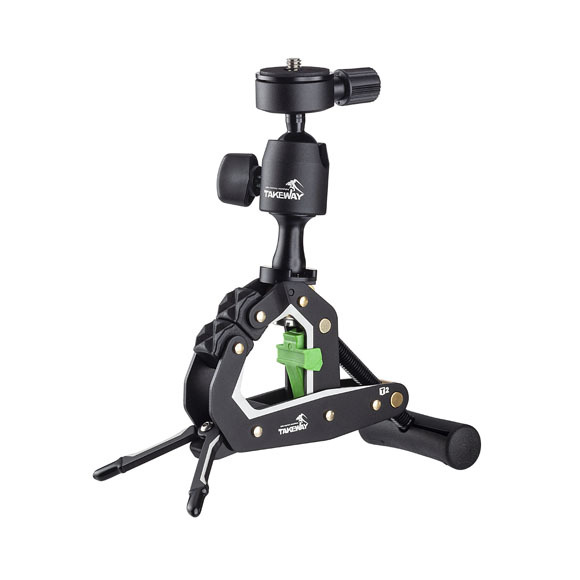 A soft plastic handle and precise screw allow you to screw in tight the clamp easily. 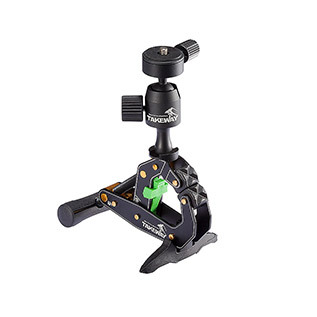 A stand that is easy to be stored offers a firm support to the clamp. so you can be free from trammels and 100% enjoy your trip! even during a roller coaster ride! 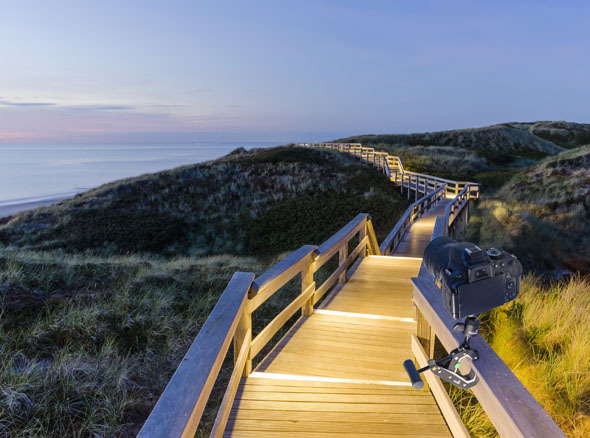 T2 lightens your travel load and workload! even in a tough working environment. 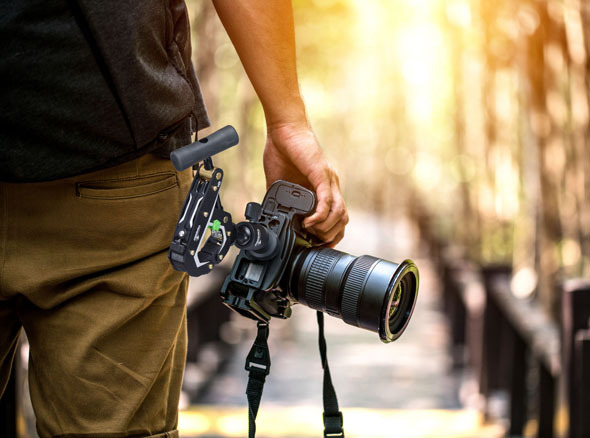 Not just a mini tripod, T2 can do more for you! T2 can be transformed into a tablet holder. 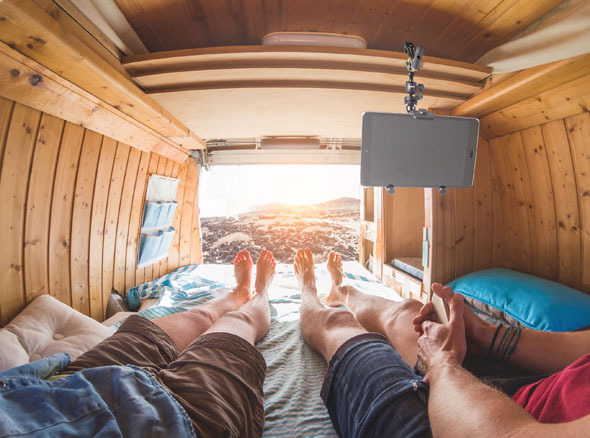 So you can make video calls or watch your favorite streaming TV shows anywhere and at any time. No matter whether it is sunrise or sunset, you nail it! 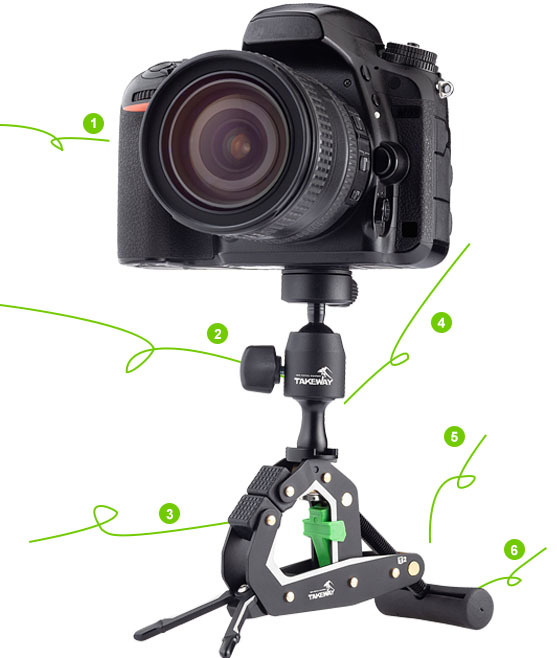 T2 can be clamped onto any objects and transformed into a mini tripod for professional photo shoots. 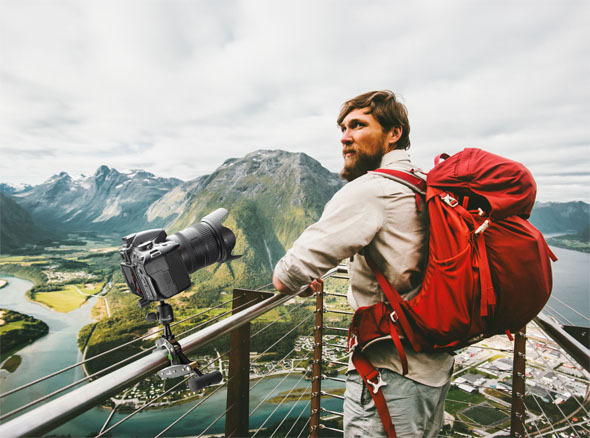 No worry about where the tripod should stand anymore! Share your fun time any time! 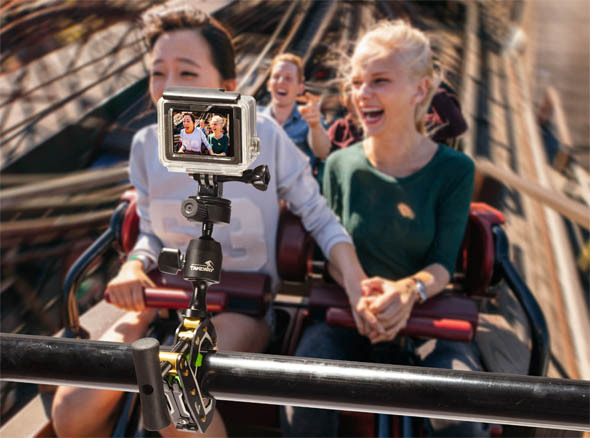 Simply mount your smartphone on T2 and you can record and share every minute of your merry moments real-time. Fun time any time – you deserve it! * The maximum load capacity of Takeway ® T1 clamp body is 40kg (including ball head), but the maximum load capacity of the ball head itself depends on its own design. * The design and specifications of this product are subjects to change without notice. Please follow the information on the website.